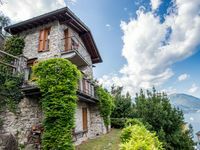 Properties in Pognana Lario average 4.5 out of 5 stars. 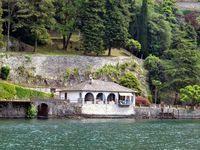 The apartment is in Pognana, an authentic village between Como and Bellagio. Property 22: The apartment is in Pognana, an authentic village between Como and Bellagio. Property 41: Luxurious penthouse with fantastic view of the lake. Property 50: Authentic Italian family house. Private garden and roof terrace, view of Como lake. We stayed at the lovely Villa Chez Nous in July this year (2018). We had read the reviews before we booked, so hired a boat for 5 days as most reviewers said that if you stayed here, then you would have to have a boat. After hiring it, we discovered that there was in fact a ferry stop within a 10 minute walk and not up too many of the steps. I wish that someone had mentioned this ferry as it would have made life so much easier (and cheaper!) I found the boat quite stressful as we were not used to boats and mooring them. We had a lovely couple of days out on it, but struggled to find mooring. When we did find one, we had an audience of people waiting for the ferry. We went out one evening in our boat to a lovely restaurant Trattoria Del Porto. We booked in advance and the owner came out and helped us moor. Well worth an evening out by boat or car as long as you like fish. Also the Hotel Du Lac in Bellagio is a lovely restaurant, bit pricey, but a seat on the balcony has a lovely view of the comings and goings of the town and the service and food was divine. Peppo's Bar pizza was great. Take away or eat in. Basic, but with the most amazing view across the lake and nice friendly service. La Meridiana - nice location and view, but the food was not good - avoid. Macellaria Pennino in Pognan Lario within walking distance - super little shop with deli. We have two children (12 and 14 years old), they loved the pool and we had a few swims in the lake. Super location and so quiet and peaceful. The Villa was well equipped, although the satellite didn't work for us. Everything else we needed was there. If we had any problems, then the owner came straight away to sort it out. 263 steps to the road where the car was garaged - quite hard at first, but amazingly we were all used to it by the end of the 10 days. We did see one snake, but he was tiny and slithered away as soon as he saw us. So, lovely place, beautiful views, well equipped. Use the ferry instead of hiring a boat.